Jerusalem, origin of the christian religion and center of the world holds thousands years of history and divinity. 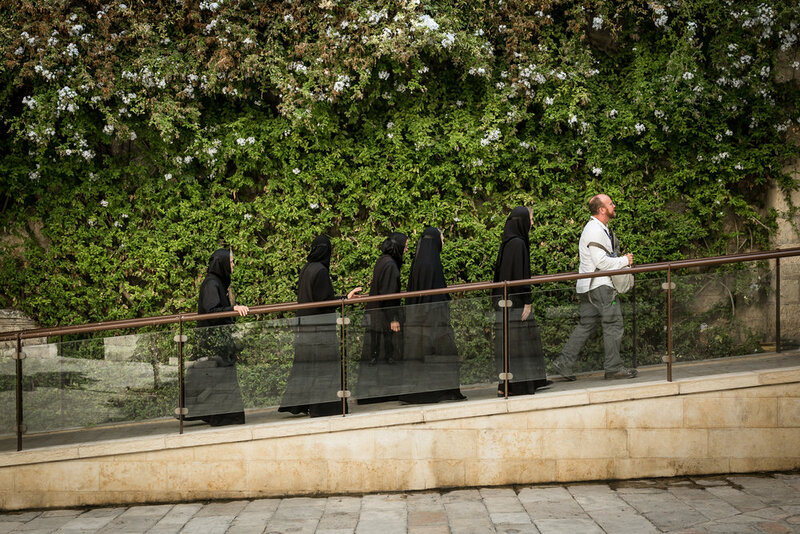 So do believe the pilgrims, that come to the holy land every year and try to get closer to their religious identity. 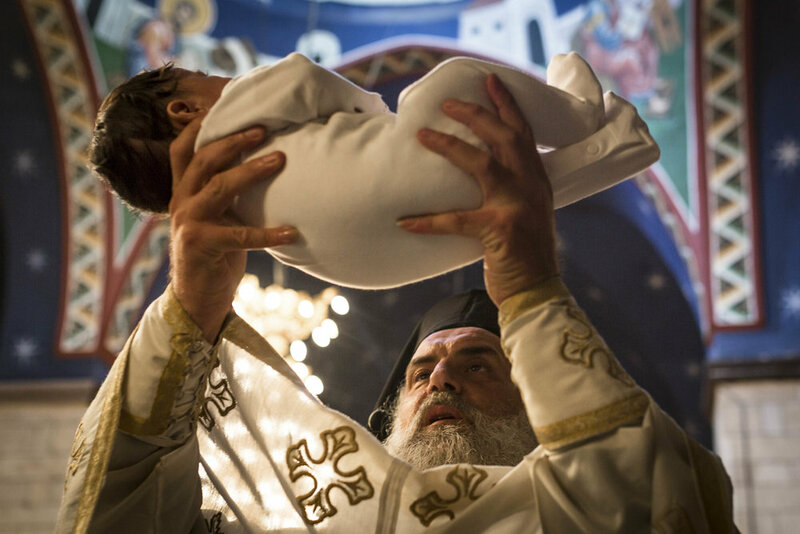 The Christian community in Jerusalem exists as a lively microcosm only through the pilgrims and clergyman, who decided to dedicate their life for this cause. and to show the daily life of the pilgrims in Jerusalem. 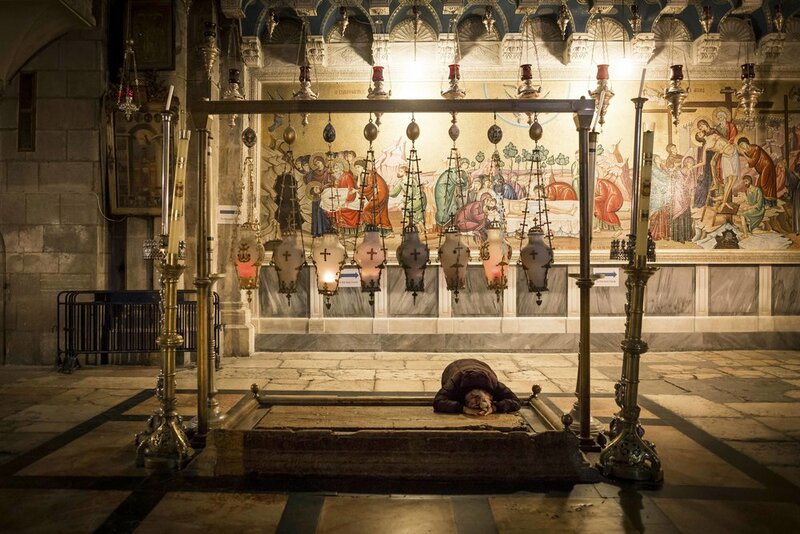 A Christian pilgrim prays on the stone of unction in the Church of Holy Sepulchre in Jerusalem's Old City. 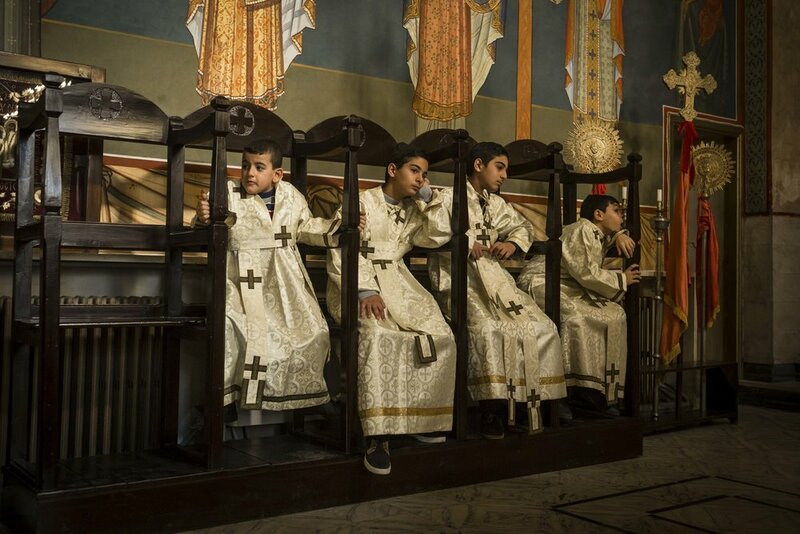 Archbishop Coptic Orthodox Patriarchate of Jerusalem. A worshipper light candles near the Calvary of Golgotha in the Church of Holy Sepulchre in Jerusalem's Old City. 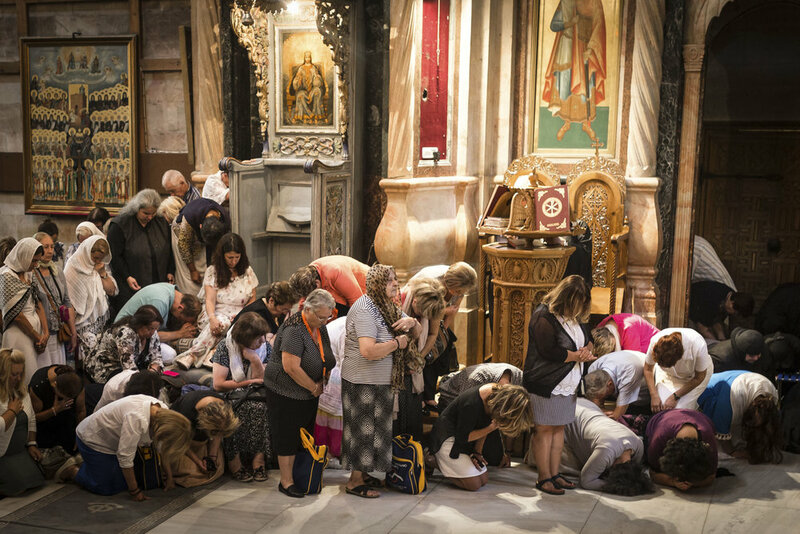 Nuns taking part at the Week of Prayer in the St. Francis Church in Jerusalem's Old City. Portrait of Rt. Rev. Bishop Dr. Munib A. Younan (r.) and the Right Reverend Wolfgang Schmidt, Propst (l.) in the Church of the Redeemer in Jerusalem's Old City. The Middle East in Jerusalem. 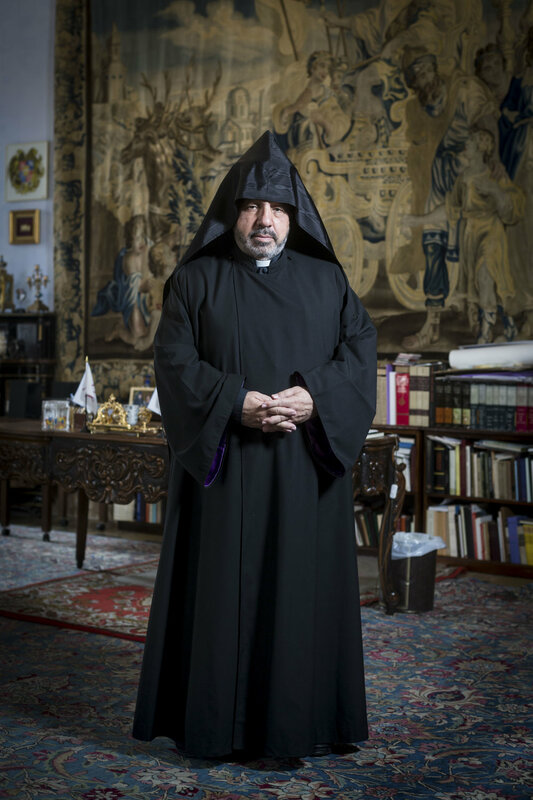 Archbishop of Syrian Orthodox Patriarchate of Jerusalem in Saint Mark's Syrian Orthodox Monastery in Jerusalem's Old City. 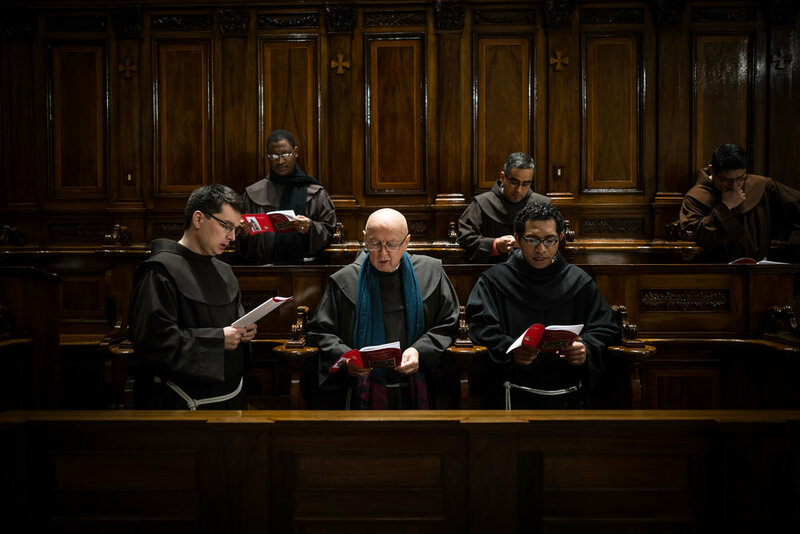 Christian clergyman take part of a reformation mass in the Auguste Victoria church on the Mount of Olives in Jerusalem. Lutheran clergyman leaving the Church of the Redeemer after a mass in Jerusalem's Old City. 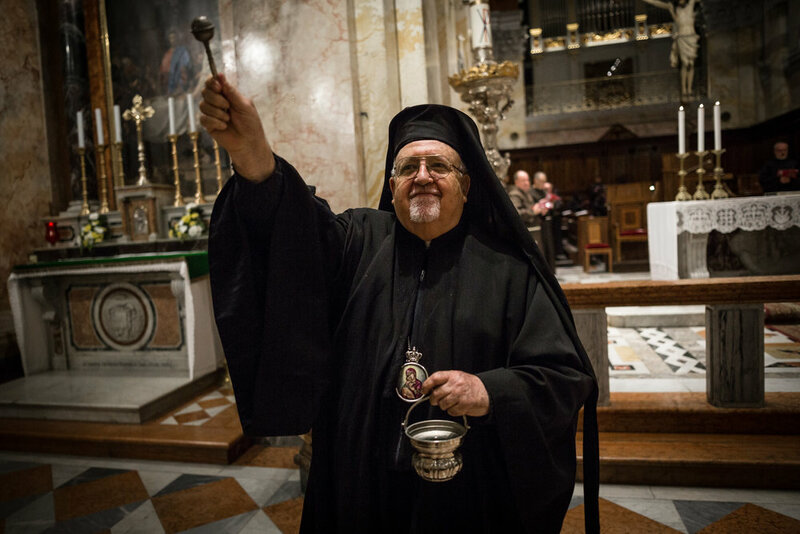 Apostolic Administrator Latin Patriarchate of Jerusalem. 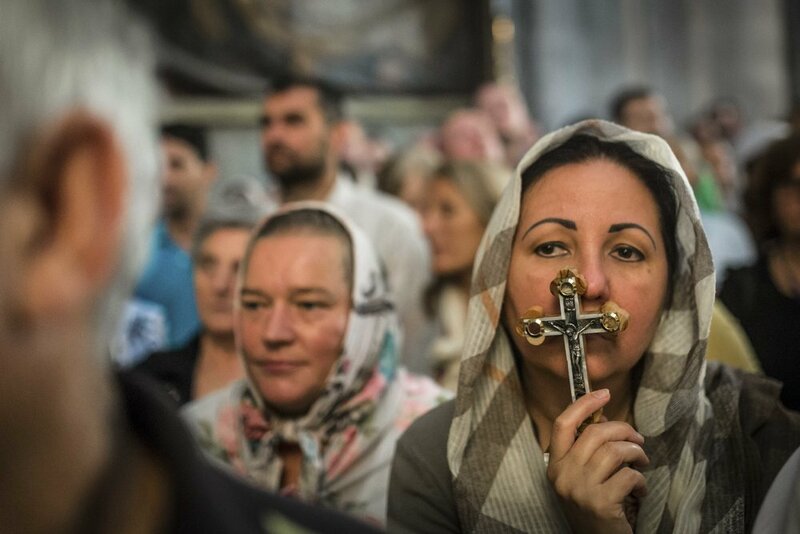 An arab men carries two crosses from the 9th station of the Via Dolorosa to the first station. 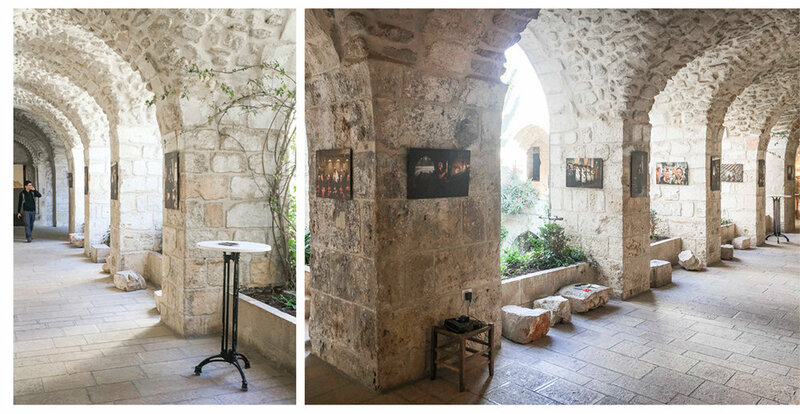 Seen in Jerusalem's Old City on October 23th, 2016. 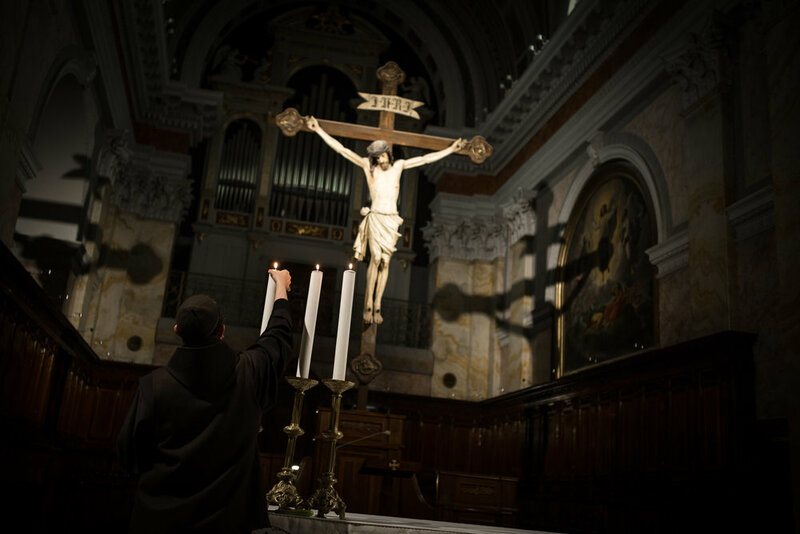 The circuitous route is believed by many to follow the path that Jesus walked, carrying his cross, on the way to his crucifixion.